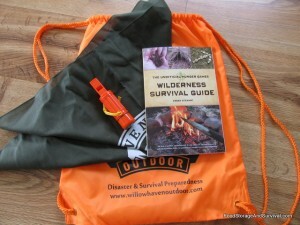 The Unofficial Hunger Games Wilderness Survival Guide Review and Giveaway! Have you read the Hunger Games series? My two oldest kids loved these books, and they are chock full of young people in outdoor survival situations. Throughout the series, the heroine Katniss, eats plants, purifies water, builds shelters, uses plants for medicine, hunts her own food, and survives some pretty harsh circumstances. 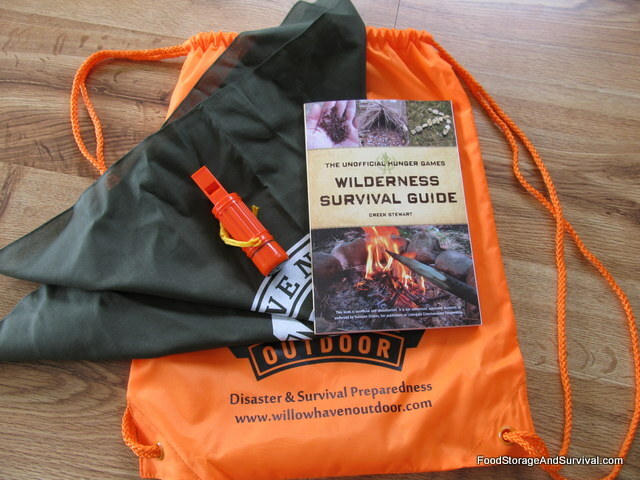 These books are extremely popular and have created an increased interest in survival among some of their fans, but don’t really give enough information on how to perform the survival skills mentioned for someone to go out and replicate them. 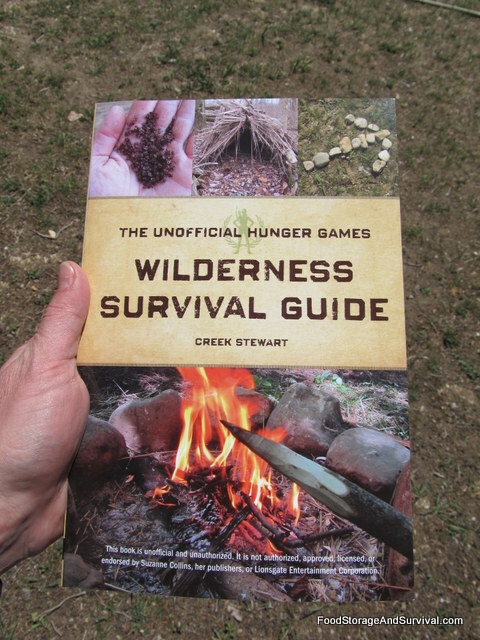 Here’s where Creek Stewart’s new book, The Unofficial Hunger Games Wilderness Survival Guide, comes in. This book teaches real life survival skills that are just like the ones Katniss, Peeta, Gale and their friends would have used in Panem. Creek is an engaging writer, and there are also plenty of pictures throughout the book to illustrate the skills being taught. 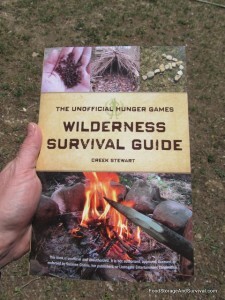 By tying The Hunger Games in to this survival guide, Creek is able to bring practical survival skills to an audience that may have never had an interest in survival before. And does the book give the information they will need? Yep. It starts with the Survivor Mentality which is so important in any survival situation. The book also covers shelters, hydration, fire, tools, hunting and gathering, first aid, navigation and signaling, and building a survival kit. 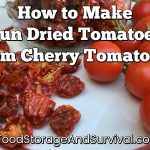 A whole range of skills from demonstrating the difference between a signal fire and a cooking fire, to using wild plants for food, tools, and medicine, to gathering and purifying water. And you don’t need to be out in the wilderness to try these skills. Creek also gives ideas for specific at-home preparedness exercises to try, most of which can be done in your back yard. In fact, this is the book that inspired the eating of dandelion roots at our house. While this book has a special appeal to fans of the Hunger Games trilogy, it has great information for anyone interested in survival. An excellent book. And just to see how some of the younger Hunger Games fans liked it, I also had my kids give it a review. If the video doesn’t load, you can access it here. Creek was also my guest on this week’s podcast, so be sure to check out that interview. This sounds like an interesting book with practical advice. Thanks for the contest.